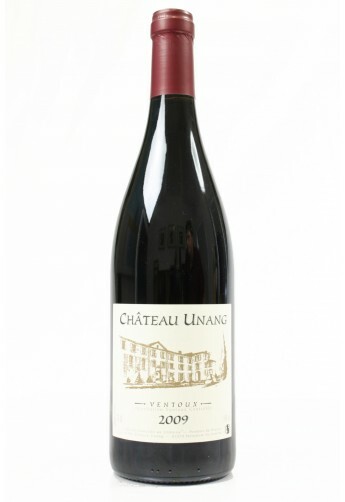 Chateau Unang Ventoux Rouge: oui! Côtes du Ventoux is an area of Rhone, Southern France that produces reds and rose made from Grenache, Syrah, Carignan, Mourvedre and Cinsault. White wines are also produced with Clairette Blanc, Bourbolenc, Grenache Blanc and Rousanne. Chateau Unang stretches to the South of Mount Ventoux, with vineyards at altitudes between 200 and 1000 meters, therefore the climate they are subject is colder and more continental than the rest of Rhone. Unang is an isolated, self-contained domaine with, interestingly enough, its own geological category: les sables d’Unang. This refers to a particular type of sandy soil that lies overtop limestone. The altitude and the soil give the wines a more complex expression. For me, wines from this area tend to have an inherent cocoa powder and chocolate cake expression on the nose that is unmistakable. Grapes: Grenache, Syrah and Carignan. Grapes are vinified separately and carignan goes through carbonic maceration, giving it a softer character. Tasting Notes: Dark fruit on the nose, fig and an unmistakable note of cocoa powder. Dense, deep and dark, black currant and plum, it could pass for a Gigondas or a Chateauneuf-du-Pape. Soft, velvety tannins and medium finish. The setting: a Saturday afternoon outdoor birthday party. Who would enjoy this wine: A medium body red, a little lighter than a merlot but with similar body to a domestic pinot noir with suttle fruit. Serve paired with food.